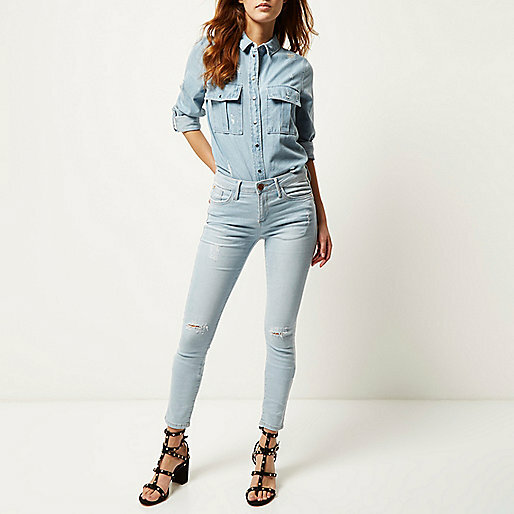 I absolutely love denim, so I’m delighted that it’s amongst the top trends once again this season. Denim in all its forms is so flexible and I haven’t met a girl who can’t pull it off, whether they’re better off in light denim, they prefer coloured denim or they’re most comfortable in black skinnies. Whatever your preference, I’m happily celebrating this continuing trend with everything you need to know about wearing denim this season. 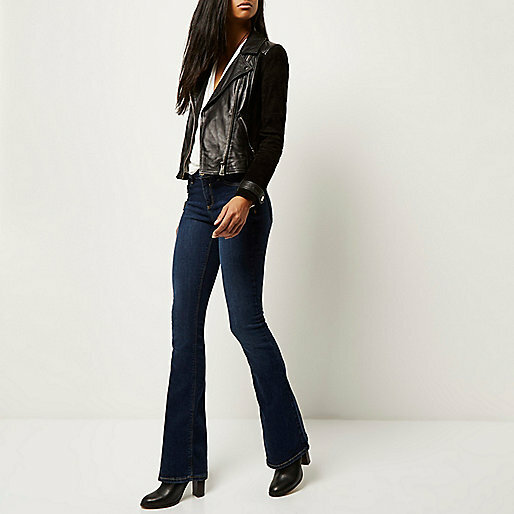 Skinnies are taking a bit of a backseat this season, and we have welcomed back flares with open arms. I used to adore my bootcut and flared jeans, especially over high-heeled boots, but they fell to the wayside when the skinnies got big. But flared jeans will make actually make your legs look longer and your waist slimmer! Win-win all around, right? When it comes to wearing flares, it’s important to buy the right length for the shoes you’re going to wear with them. If you’re thinking of heels, they should be a little longer than your usual length. You should also team them with a belt. I’ve had a tendency over the years to stop buying belts because I didn’t need them with skinnies but I love them with flares, especially chunky ones. Remember; flares should still be fitted to the knee so make sure your legs aren’t swimming in them. It’s also worth remembering that denim does tend to shrink slightly in the wash, so make sure you have enough length before you buy them – and that goes for all your denim! Now, I love a bargain when it comes to jeans. I had bought jeans last year in River Island for €50 and they have a great fit and are still in great nick, but this year when I was being less generous to myself and desperately needed to replace my black jeans, I ventured into Penny’s. They have a fantastic denim section with every style from boyfriend to bootcut, and any colour from acid washed to cherry red. Not to mention the prices range from €8 to €15 depending on the style. Needless to say I bought several pairs at the time and I plan on going back. 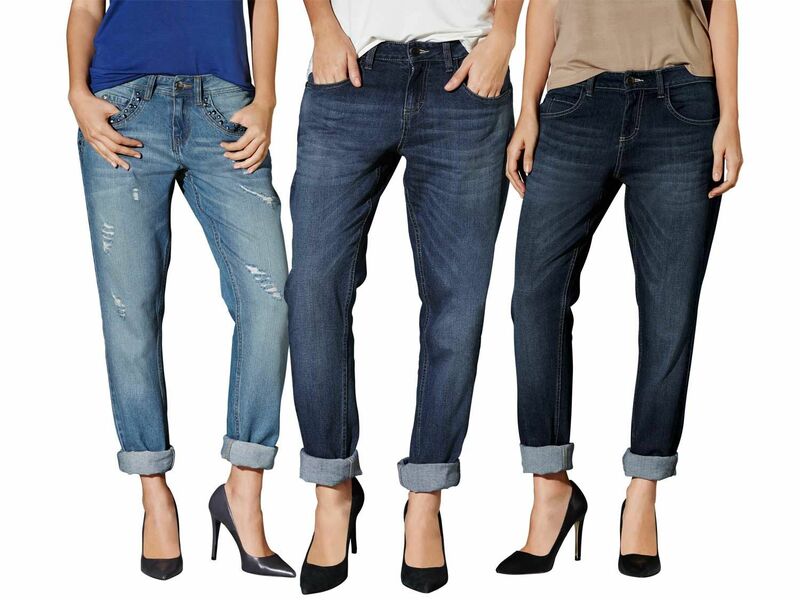 You can browse their extensive denim section here. 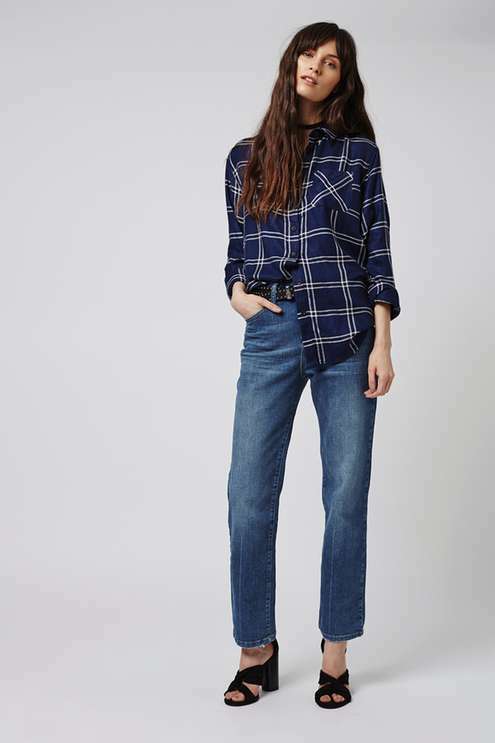 And speaking of bargains, let’s not forget about those Lidl boyfriend jeans going for €14 – perfect if you’re into a more baggy fit. While we’re on the subject of denim on a budget, if you’re weeping over your expensive but very faded black jeans, don’t throw them out just yet. You can dye them and they’ll be like a new pair! You can get a pack of washing machine usable Dylon dye in Hickey’s for about €9. Be sure to use one full pack per pair and wash your jeans separately afterwards. You’ll also need to run your machine empty after you wash the jeans to clean the machine. Trends and budget buys aside, there are some other rules for wearing denim and I’m not just talking about jeans. 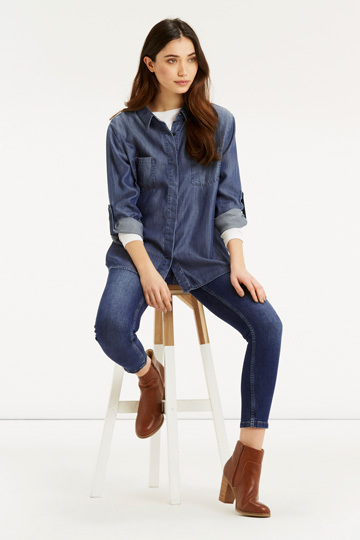 Denim shirts have been cropping up on the high street a lot these days and as you may have seen from our preview vlog for this post, Claire and I are definitely sold on them. Think of denim shirts as neutral. Wear them open over a colourful tank top or closed and tucked into a patterned skirt. Wondering about double denim? Don’t shy away for fear of looking like the missing member of B*Witched. If you’re nervous, mix colours before going for blue on blue. Team a white denim jacket with your favourite blue jeans. This will stop you looking too matchy matchy. Distressed and ripped denims tend to look better with the double denim than perfect jeans. Adding statement jewellery to your double denim outfit is always a good move for breaking up the outfit. Finally, when mixing denim colours, remember that lighter shades attract attention, while darker shades can tone it down, so use this rule of thumb to accentuate your features. Like we said, skinnies have taken a serious backseat this season. But while some people are considering this to be the end of the skinny jeans, I still see them as an absolute wardrobe staple. For those of you like me who are too afraid to let go of their skinnies, there are still plenty of perfect pairs around the shops. The best thing about denim is from colours, shapes, styles and items, it’s easy for anyone to wear this trend in a way that suits them with confidence.